Save your time for the best. We will do all one-time setup tasks of your store. We provide dedicated tech assistant specially assigned to you to setup your store. Tech assistant stand by for you and working on your behalf will help you improve productivity. We have the best in the industry eBay tools to offer to import eBay listings, eBay customers and eBay feedback score to your own online store with just one click. After the great success of our unique eBay tools, we are now ready with yet another robust integration with the eCommerce giant, that is Amazon, to import sellers' Amazon products to their own online store. We work hard at the back door for all the online sellers and ensures that all the sellers in the universe have to face minimalistic hurdle while running their online business. We understand your world and know what you need and missing, that's why we have tailored our services to make the life easy of online sellers and help them grow. Designs like you have never seen before. 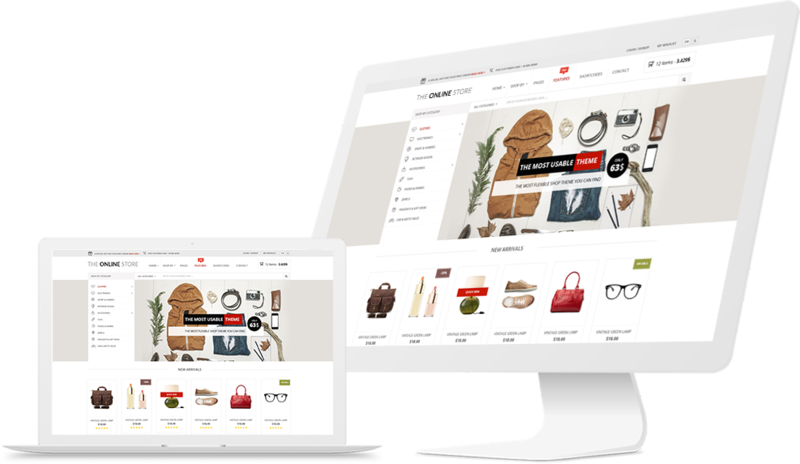 Attractive, Responsive and totally customizable. We have unlimited design options to choose from. We submit your store in Google search engine manually and integrate it with Google services like Google spreadsheet, analytics, and webmaster. The best in store search system used by the eCommerce giants is now available to you. It is a rare feature that we have in all our stores built in. Easystorehosting and my agent Sujjal are amazing and consistent as well as punctual in their work. They go out of their way to make sure clients get exactly what they want in the fastest way possible. Thank you for your help. I really appreciate the help Easystorehosting have provided me to set up my store as I wanted. Wordless ! !Started store before 7 years ago. Running very smoothly till date. Regular features updates.Outstanding Customer support. Outstanding !Running two stores with Easystorehosting since last 5 years.Good technical team and support. We are proud to showcase our created brands started their stores with baby steps and now popular in their region.